After a 9½ hours flight from Helsinki (Finland) to Kansai International Airport, we were greeted by a sunny and warm Osaka morning. We started our city tour right from the airport and rode over the long bridges surrounded by blue sky and wide ocean (photo). You could really understand that Japan is an island. Riding through impressive harbour (photo) to the city of skyscrapers (photo) we headed to the Osaka Castle (photo). 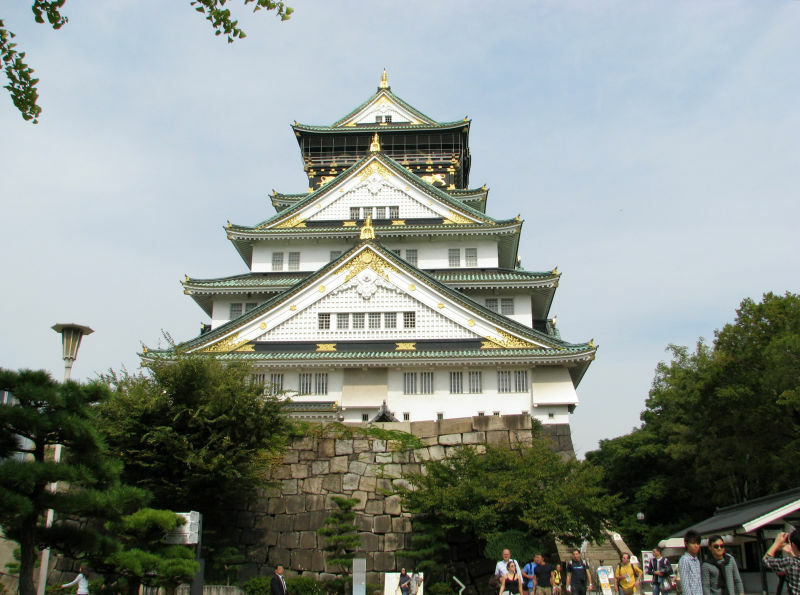 The Castle is one of the country's most famous castles and is best known for the part it played in Japanese unification during the 16th century. The castle tower has been restored many times (survived bombing during World War II), first time by the Tokugawa Shogunate at the beginning of the Edo Period (17th century), then by the citizens in 1931, and a major renovation in 1997. 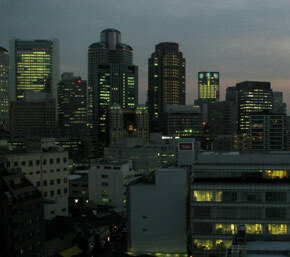 A view from the observation deck of the Main Tower was impressive (photo). 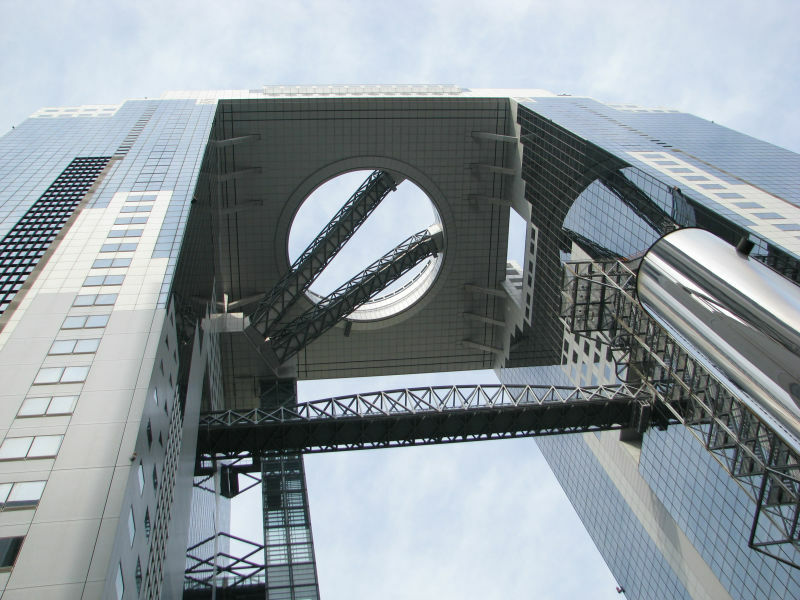 Later in the evening we visited Umeda Sky Building (photo), a modern 173 m (568 ft) structure with two 40-story towers and the Floating Garden Observatory on the rooftop, giving a great view all over the city (photo). After a dinner and a walk on the neonlighted streets, back to hotel to rest and recuperate from jetlag. 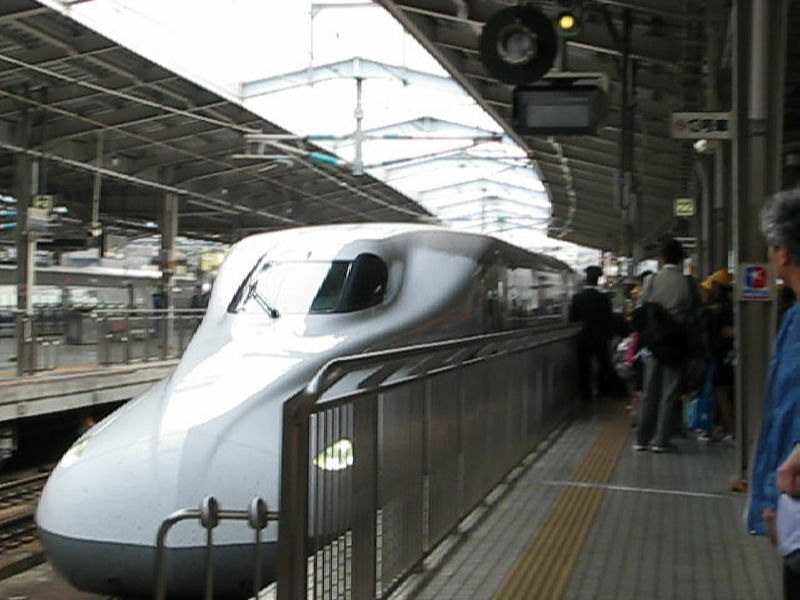 Next day we took a Nozomi bullet train to Hiroshima (max speed 300 km/h, 186 mph, photo). 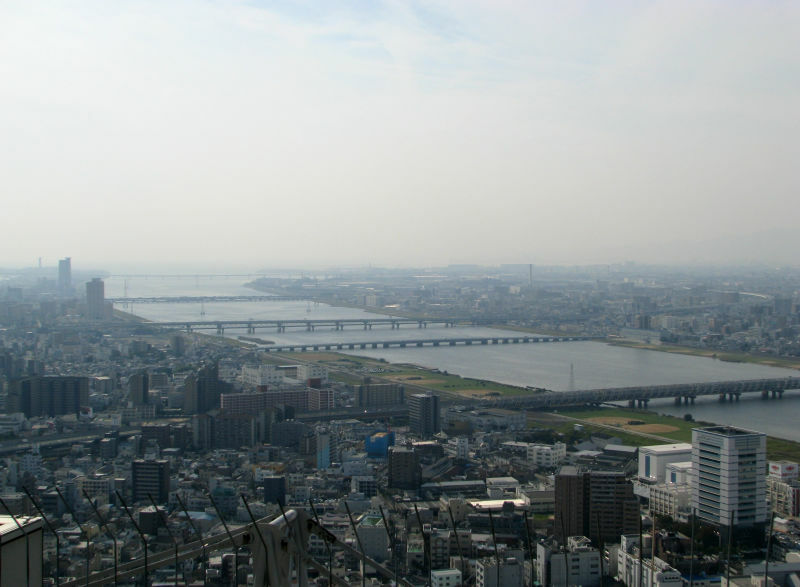 Osaka is located at the mouth of the Yodo (Yodogawa) River (photo) on Osaka Bay, and is the third largest city by population after Tokyo and Yokohama (population: city proper 2,619,586 and metro area 11,286,000). Osaka is a city in the Kansai region of Japan's main island of Honshū. 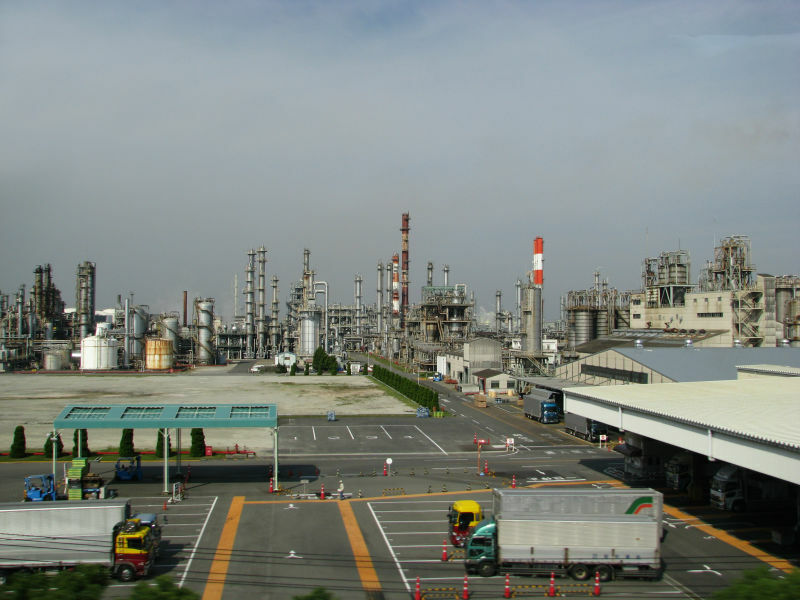 Situated on a sheltered bay, it is also one the leading commercial, shipping and industrial centers of Japan. Osaka has been inhabited from more than 10,000 years and around the 5th century A.D. Osaka became the center of politics and culture of Japan, after Chinese culture was introduced to Japan via the Korean peninsula. A new religion, Buddhism, was also introduced and it quickly began to spread to the rest of the country. 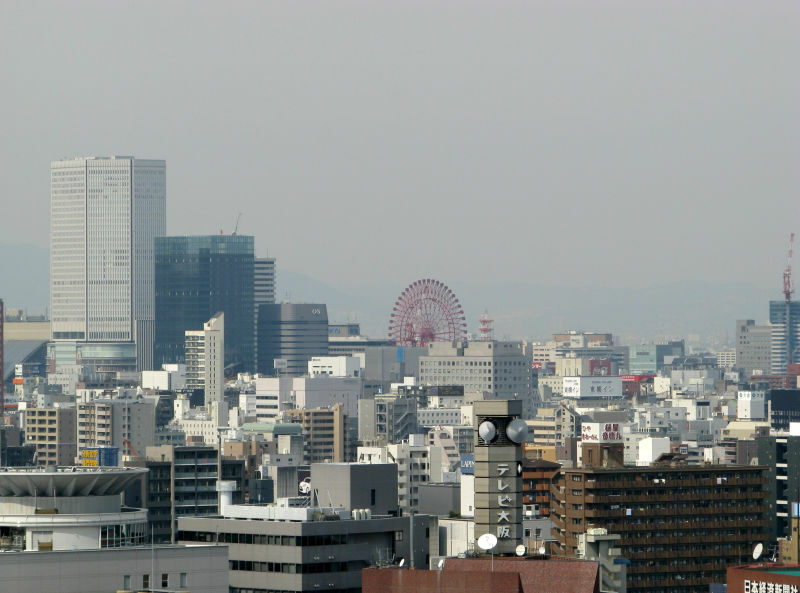 In the 7th century, Osaka became the first capital of Japan, modeled after the capital of China. Even after the capital was later on moved to nearby Nara and Kyoto, Osaka continued to flourish by being an important gateway for foreign culture and trade. During the Edo period (17th-19th century), Osaka was known as the "Nation's Kitchen", a gathering and distribution center of numerous materials and commodities. 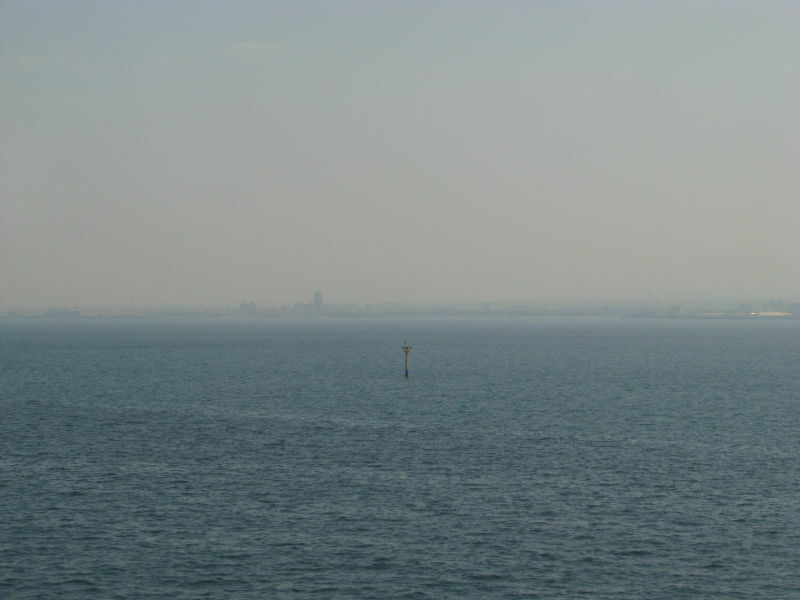 Osaka area is very flat and has a strong presence of water by rivers, canals, a sheltered harbor, and an expansive bay, which houses Kansai International Airport built on a man-made island. 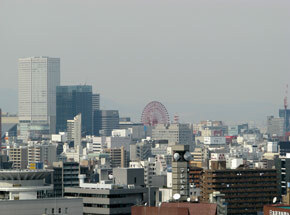 Osaka has an efficient public transportation system which includes metro lines, the JR rail service, buses and taxis. Osaka Monorail's main track (21.2 km) has been recorded in the Guinness Book of Records as the longest monorail system in the world. Main industries are steel manufacturing, transportation equipment, metal products, appliances, pharmaceuticals, apparel, finance, communications. Today the investments in the environment- and energy-related industries are growing and also the robot technology industry is striving to develop (supported by a wide variety of leading-edge technologies, such as nanotechnology, artificial intelligence, communications and power technologies). 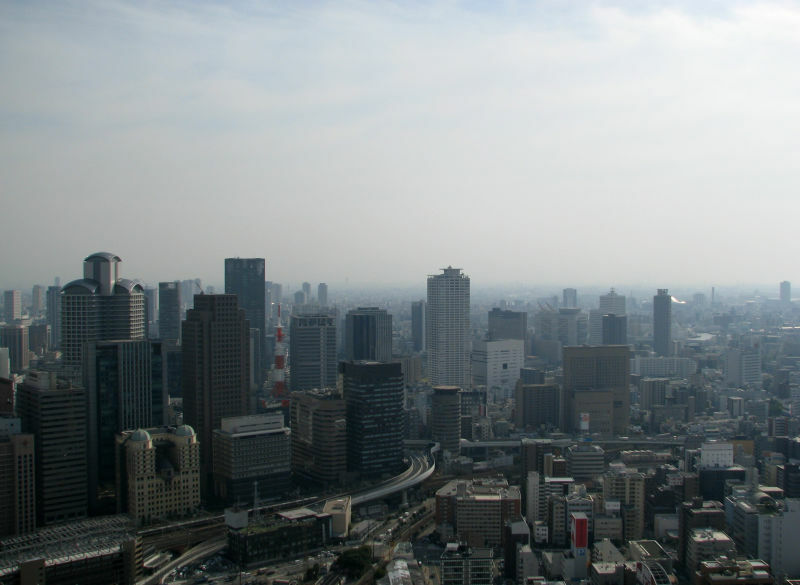 Osaka City is home to a number of pharmaceutical companies and food manufacturers engaged in bio-related businesses, as well as their supporting companies including chemical and medical equipment manufacturers. 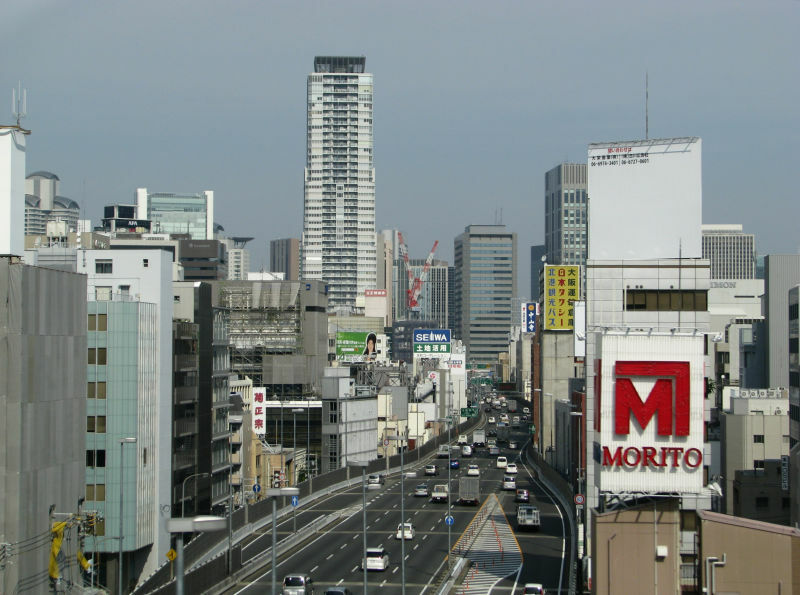 Being a modern centre for industry and commerce, Osaka and Kansai is home to top global companies: of the 68 Japanese companies on Fortune Magazine’s 2009 list of top 500 companies by revenue, 9 companies are based in the Kansai region and 6 are based in Osaka City. National Bunraku Theatre, where traditional puppet plays, bunraku, are performed. 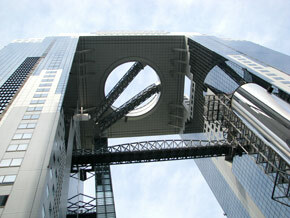 Umeda Sky Building and the Floating Garden Observatory on the rooftop. 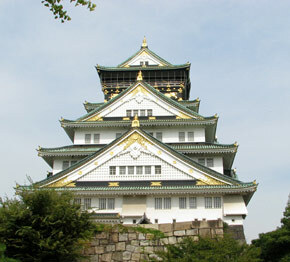 Osaka Castle, the symbol of Osaka. 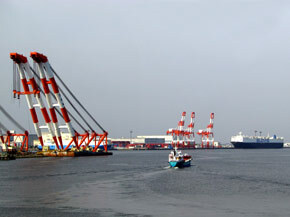 The Port of Osaka is one of the largest financial centers in Japan. A view over the city.